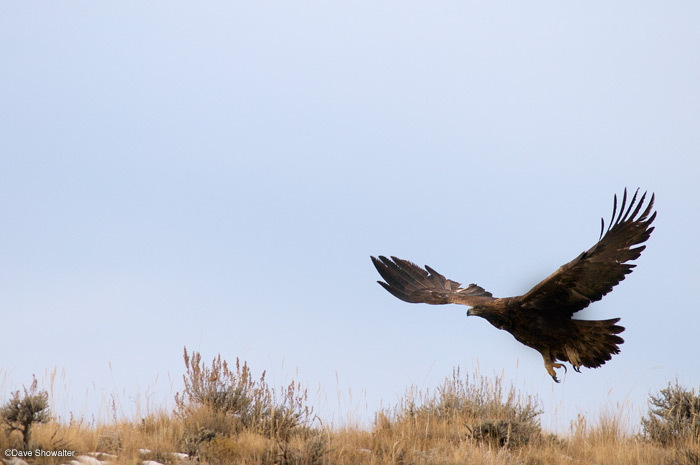 A golden eagle takes flight near Meeteetse, Wyoming. Golden eagles are quite common across the sagebrush ecosystem east of the Absaroka-Beartooth Front. Aquila chrysaetos. Photo © copyright by Dave Showalter.